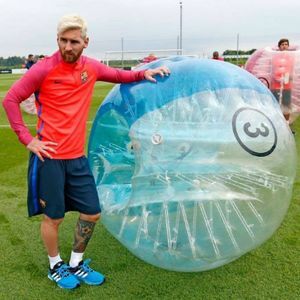 Are you looking for a Zorb Football Supplier in Stafford, Staffordshire? 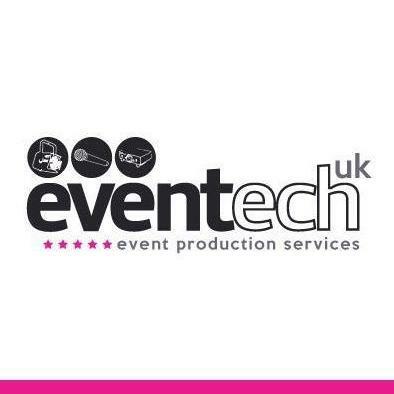 Our catalogue includes 10 companies available in Stafford for hire. 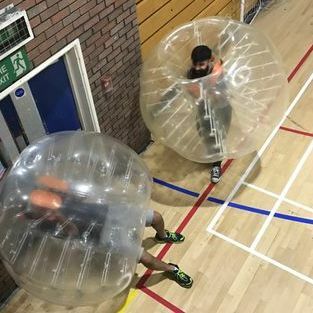 About: Midlands bubble football and combat archery events, are the UK's premier and largest provider of bubble football and archery tag events within the Midlands. 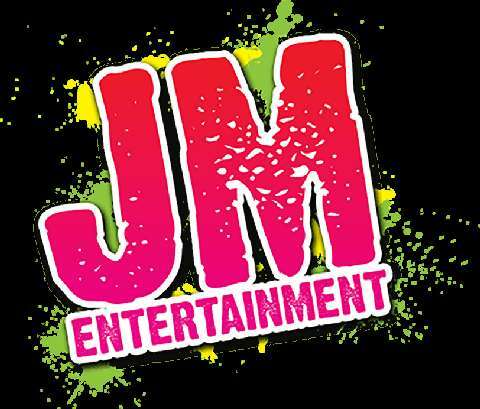 With over a decades experience, your event is guaranteed to add fun and laughter to any occasion while ran in a safe and professional manner. 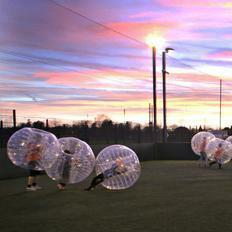 About: Welcome to EXCEL Bubble Football, ZORB Football, to HIRE bubble football, you have come to the right place. 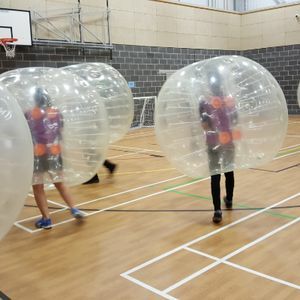 You can hire bubble football for any occasion, we provide the bubbles and goals, all you need is somewhere to play ie; a field, gym or an astro turf. 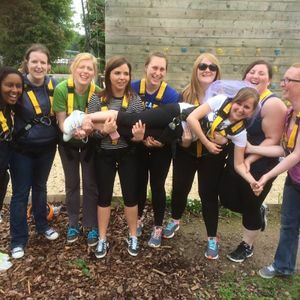 About: We have a fantastic climbing wall, bubble football, archery, axe throwing and other activities for hire. Our instructors are highly trained and great at working with schools and groups of all ages. Hi there! On my stag do I have 14 guests. I what to rent paintball equipment/package. Is deposit required to confirm my game? I plan my stag party on 3rd of June. Hello Eugene! Thanks a lot for your help in organising private party! Can you help us with entertainment program on our wedding? It will be In September. Required laser tag equipment and table football. Event is held in a private field. Thanks in advance. Can you send me pics of laser tag on weddings? We’d be happy to hire a decent laser tag supplier for the wedding under 400. Looking forward to hearing from you. It would be really great if you send us the quotes. Hi there. We're celebrating our 10th anniversary next month. We want to surprise our guests with a mobile climbing wall. Could you book a portable rock for us? We are getting married on 3rd of September and we want something special for our wedding, to make guests having fun. We expect to start at 2 pm and we expect mobile archery or fun casino at 4 pm. Awaiting your respond. Good morning! I need a table football to hire for a private party. Is it possible to hire a human table football??? (just interested). It is going to be an outdoor summer event. Date and time not estimated. Hi people! We are Angel and John. We are going to celebrate our daughter's birthday in the end of August. We are going to invite up to 7 kids. We are thinking of hiring the climbing wall. Want this day to be an exciting and unusual one! Will you provide with a qualified climbing instructor? My nephew turns 8 in July this year. We are making a party for 15-20 kids (same age). The point is our house. I want to rent for hom mobile climbing rock. Can you provide with full package? - Mat, helmets. Our company celebrates 5th anniversary in June. We are trying to organise Vegas themed party for 30 people. We like the idea of hiring fun corporate casino. We need catering and marquees as well. Can you help with this? We urgently need a zorb football for our anniversary party! I’ll appreciate if you find for us the best one supplier! We have 14 guests. Please give me your feedback ASAP. Our office is a place of holding corporate party. There will come 30 guests. We would like to rent table tannis and table football as there will be several breaks, during which we can have some fun. Send please the quotes, considering our budget is under 500. I am planning a party on June, 18 (Saturday). Are you available for table football hire? I'm going to hold up to 10 guests. My budget is 500. 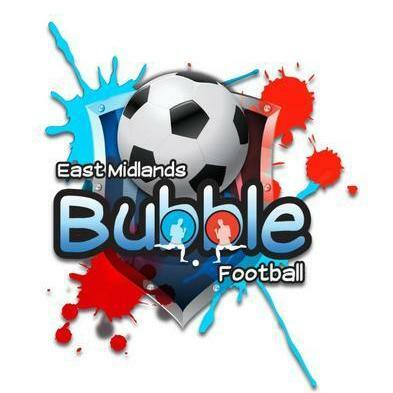 Required a bubble football for boys and girls from 7 - 16 years old. The party will occur in a rented field on 15th of July. Will appreciate if you provide us with prices, testimonials. Our friend is making a hen party for June, 19. She has invited 13 girls. 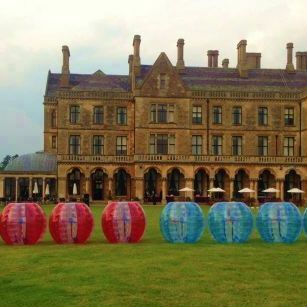 Can you help us to find zorb football supplier? Will appreciate if you send us the rates, so we could plan our budget. Hi there! This is Tasha from Birmingham. I’m trying to plan my birthday party and, I want to make it extraordinary. 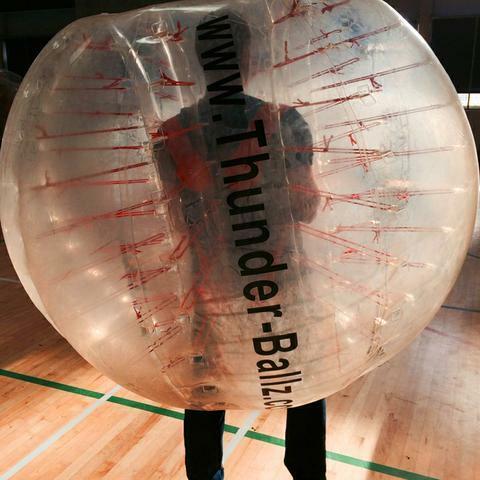 I thought about zorb football, maybe you can advise me anything else. The party will be on 17th of August (mid-week). On June, 15th occurs my birthday party. I have 2 teams of 5 people. I wanna ask you - can you help me to find human table football suppliers? If I order service package will I get flags, trained staff, team identification bibs, and medals for winning team? It will be perfect if we have commentator, photographer/video crew, and catering. We’re going to have a corporate party on 11th of June. We want to rent for few hours a zorb football. But it should be mentioned, that we have about 40 players. Send please the quotes to make the budget. Thank you a lot! Hi Eugene! 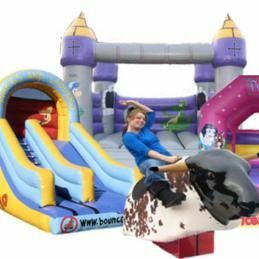 We are looking for a portable rock climbing wall rental. 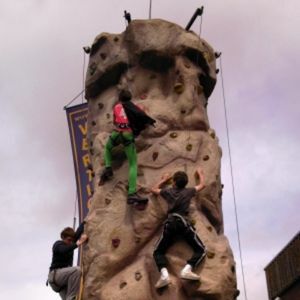 Can you provide us with mobile climbing wall in Shropshire? It will be a private party, only adults (10+). Date: 21st of June.